Automic plans to complete a new user interface for their elaborate and intelligent business automation products in 2016. Called the Enterprise Control Center (ECC), this simple, unified interface will be developed and implemented in collaboration with the international team from Nagarro. 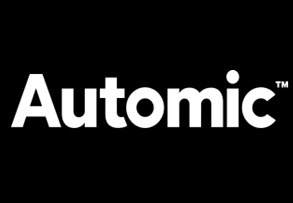 Vienna, January 28, 2016 - Automic’s products Automic Workload Automation, Automic Release Automationand Automic Service Orchestration have added multiple functionalities over the years. This has resulted in an increasingly complex user interface. When the complete revamp of the user interface was announced as a flagship project, the 14-member strong Automic project team started looking for possible resources for this highly complex task. It quickly became clear that the tight schedule did not allow traditional recruitment methods. So, Josef Puchinger, ‎Vice President Engineering at Automic Software involved Nagarro Austria who promptly brought a solution to the table. Together with Josef Puchinger, Vice President of Engineering at Automic and Michael Grath, Director of Engineering at Automic, Nagarro’s team is implementing a completely new cross-product user interface in 2016. Numerous sub-points, window-in-window applications and different modes of presentation have to be unified in a simple interface called Enterprise Control Center or ECC in short. The Nagarro team brings competencies in the field of software development, application lifecycle management and software testing to the mix. A scrum team in Austria and two additional scrum teams offshore operate simultaneously, and user tests are continually carried out to improve the software further. “In the future, ECC should be more than just a user interface. It should be a pleasure to work with and (should be) intuitively usable.” says Michael Grath from Automic. Within six weeks, Nagarro offered an operational team to expand the existing development team. It just took two weeks to align the competency profiles. A scrum master, software and test engineers were ready after 4 weeks of training. By the summer of 2015, the development team was extended to more than 30 people, out of which 20 belonged to Nagarro. Nagarro has its delivery center in India. The Automic-Nagarro teams use multiple video conferencing and digital collaboration tools to work together closely on a daily basis. Frequent trips to Automic office in Vienna, as well as Nagarro office in Gurgaon enable a seamless flow of information. “From the outset, our Nagarro colleagues impressed us with their professional and interpersonal competence. It would have been extremely difficult to find as many qualified people and to bring them on board individually”, says Josef Puchinger. In addition, Paul Haberfellner, Account Manager and Managing Director of Nagarro Austria and his staff takes care of the project needs on-site. Automic, a leader in business automation, helps enterprises drive competitive advantage by automating their IT and business systems - from on-premise to the Cloud, Big Data and the Internet of Things. They have been in business for over 20 years with offices worldwide. Automic powers over 2,600 customers including Bosch, Netflix, eBay, AMC Theatres, Carphone Warehouse, ExxonMobil, BT Global Services, Société Générale, NHS SBS, General Electric and Swisscom. Nagarro is a specialist provider of software development and managed services. Our enterprise agile organization design and processes enables our customers to lead in their market. International firms such as Lufthansa, Siemens, GE Aviation and Erste Bank, as well as local champions such as FORCAM, Heinzel pulp and Austrian Railway work with Nagarro to gain competitive advantage. As the global services division of the Allgeier SE (Frankfurt Stock Exchange AEIN), Nagarro employs more than 3,500 experts and has operations in 10 countries worldwide. Nagarro GmbH in Vienna, Austria consists of 60 experts who manage a whole range of services, from cloud techologies to software and transformation projects. Managing Directors: Damianos Soumelidis, Paul Haberfellner and Thomas Riedl. 30 developers – including international experts from Nagarro and Automic project team will work together on a unified user interface for Automic products by 2016.